Buying after bankruptcy? This infographic has everything you need to know about the waiting periods for each loan program. 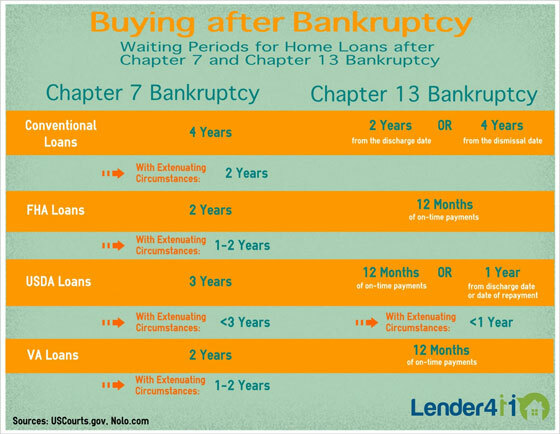 This illustrates the differences dependent upon filing a chapter 7 or chapter 13 bankruptcy.